Richard’s life began on August 30, 1955 in Pineville, LA. He is the son of Glenn I. and Aline M. (Evans) Carruth. Richard was united in marriage to Diana L. Hill on February 14, 1994 in Wichita Falls, TX. He worked for Pioneer Balloon Company as a printer and worked dairy on a ranch. Richard loved riding his Harley Sportster, hunting, fishing and raising rabbits. His loving family includes his wife Diana Carruth of El Dorado; children John (Samantha) Carruth of Sherman, TX, Amore (Manuel) Rojo of Wichita Falls, TX, Jessica (Trever) Carley of Benton, KS and Christan (Brandon Luttrell) Carruth of Aurora, CO; 20 grandchildren and siblings Mark (Dana) Wafer of El Reno, OK and Roy Carruth of Mississippi. 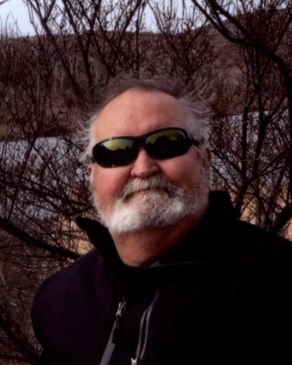 Richard passed away at his home surrounded by the love of his family on March 26, 2019. He is preceded in death by his parents. His family will gather with friends on Monday from 5-7 p.m. at the Carlson Colonial Funeral Home. His graveside service will be held on Tuesday at 2 p.m. at Sutton Cemetery, Augusta and begin with a motorcycle procession from the funeral home at 1 p.m. Memorial contributions in Richard’s name may be directed to the Amedisys Hospice Foundation. Please sign his online guestbook and leave a memory of Richard at www.carlsoncolonial.com.